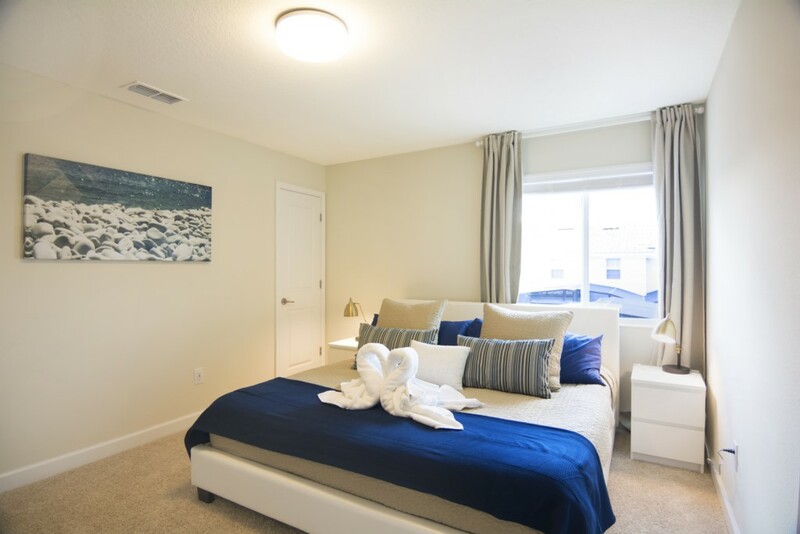 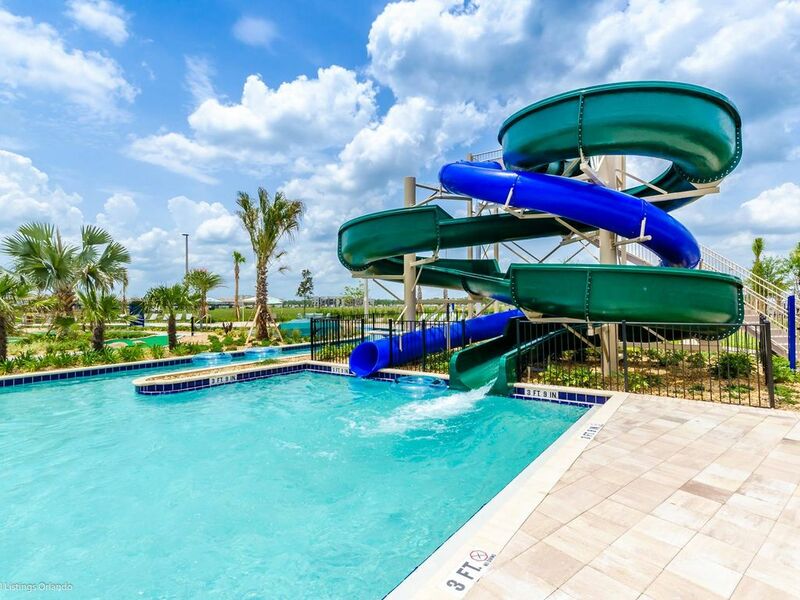 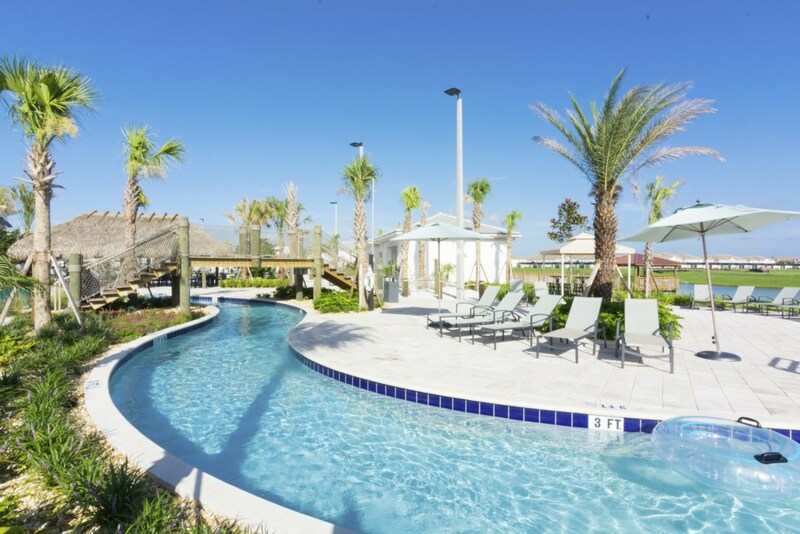 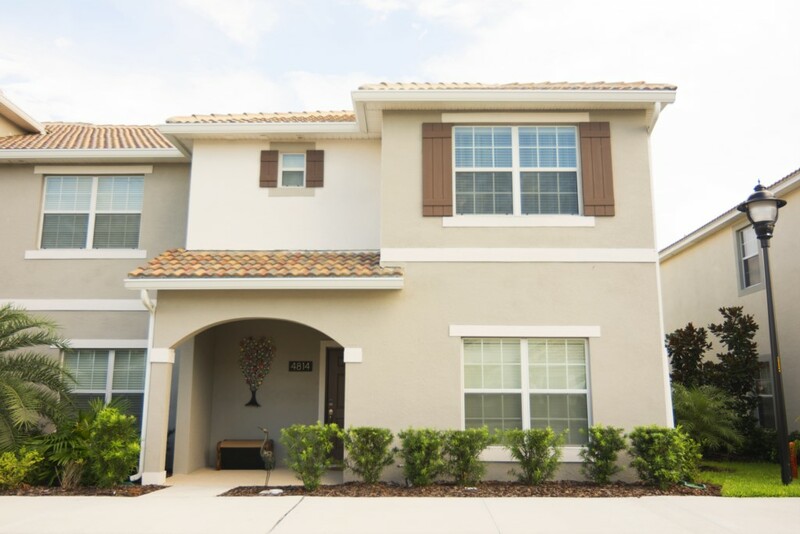 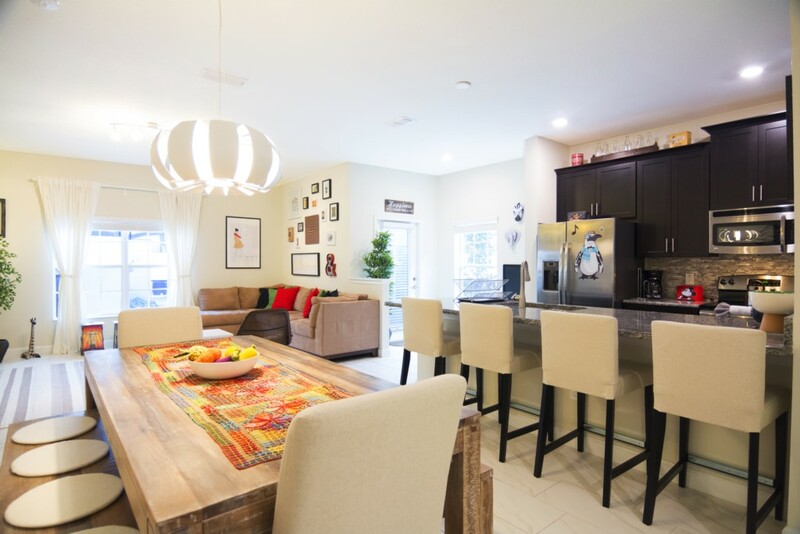 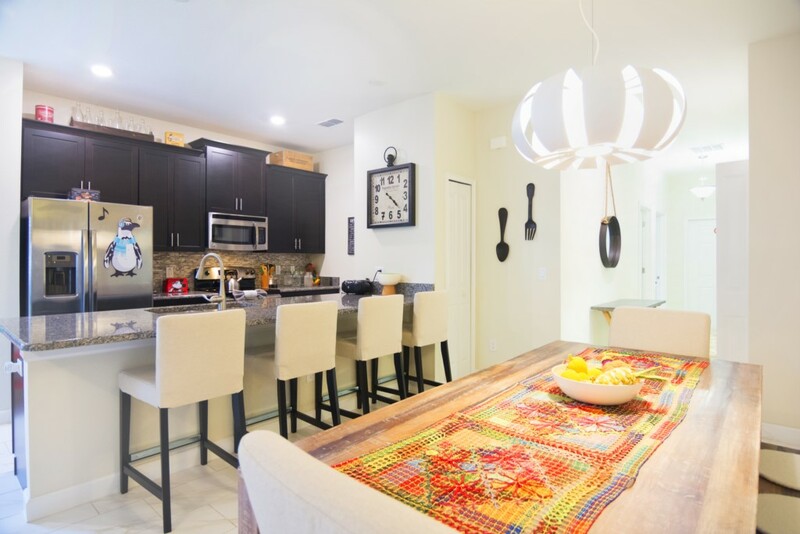 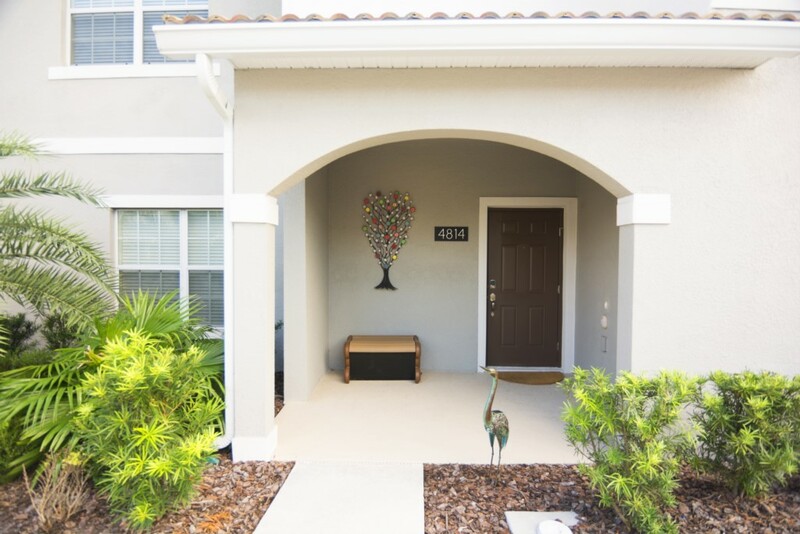 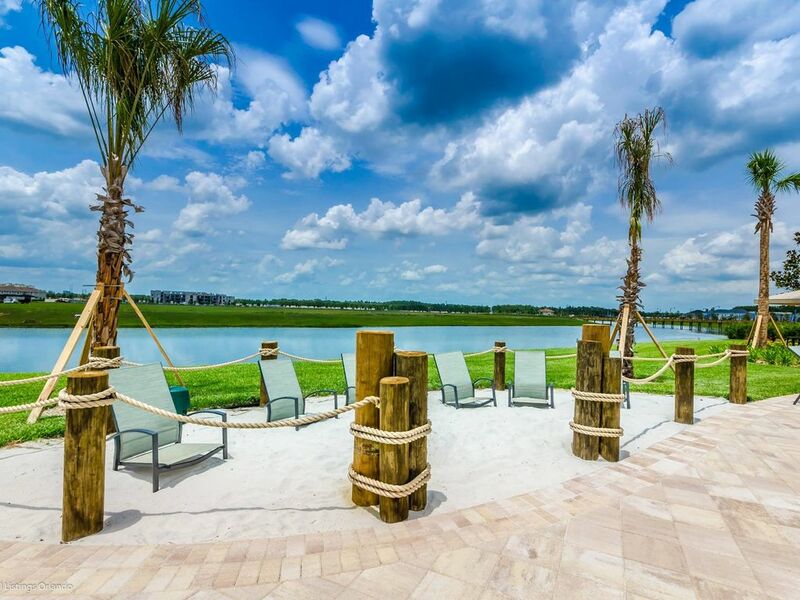 This brand new Townhome at 4814 Brier Rose Lane is situade inside Storey Lake Resort community located at 4026 W Osceola Pkwy, Kissimmee, FL 34746. 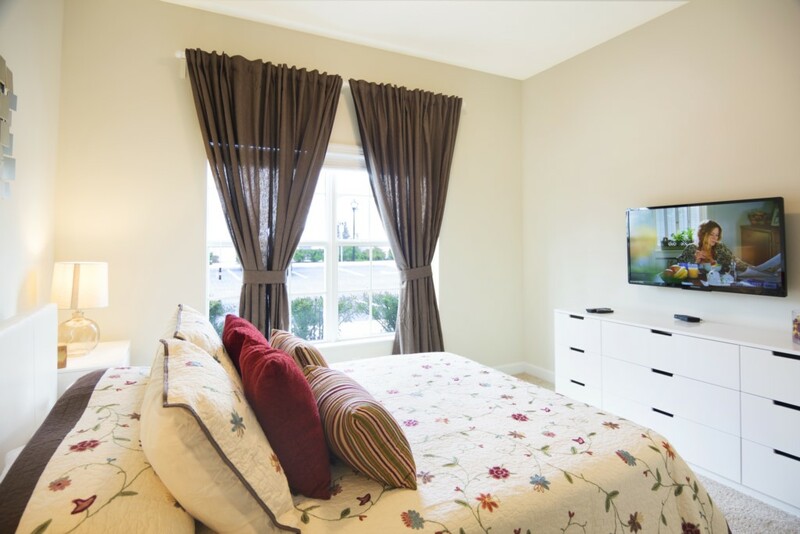 This home has been decorated with great eye for detail thinking of each guest. 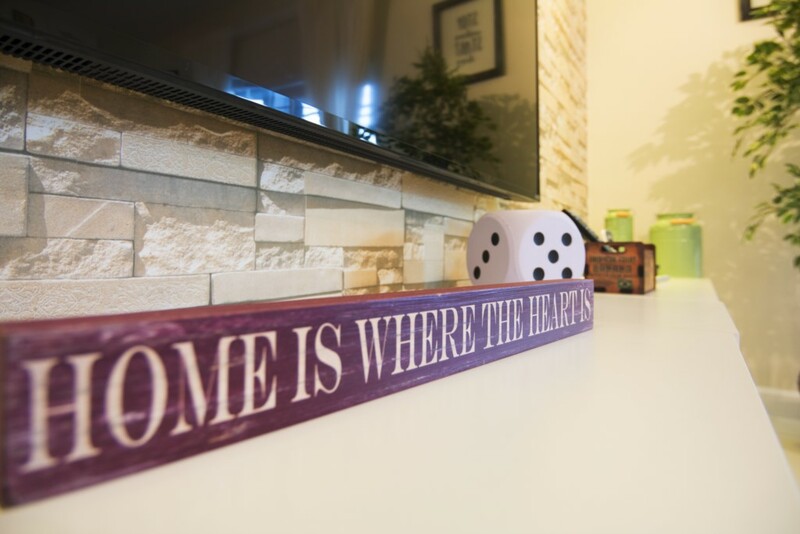 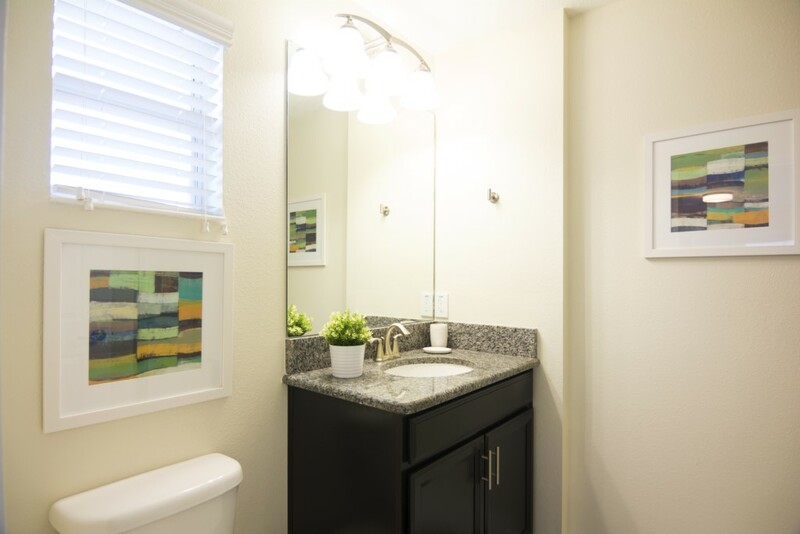 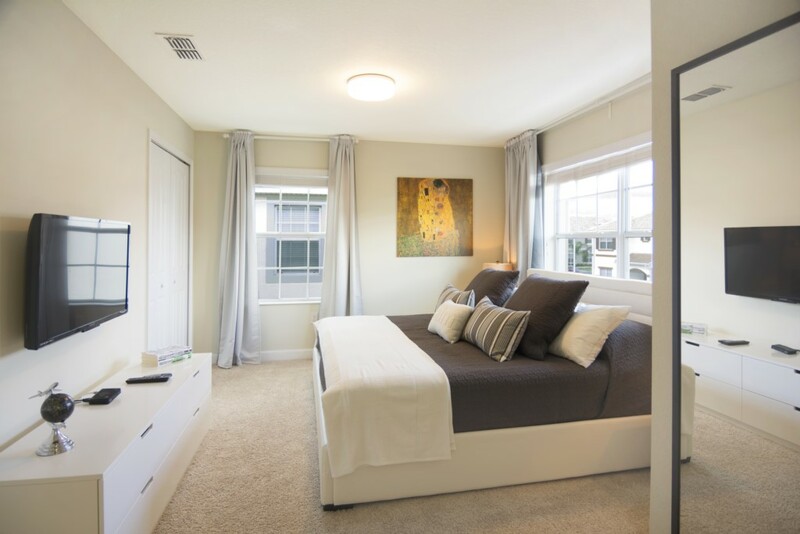 The modern style provides the confort and the feeling of "Home Away from Home". 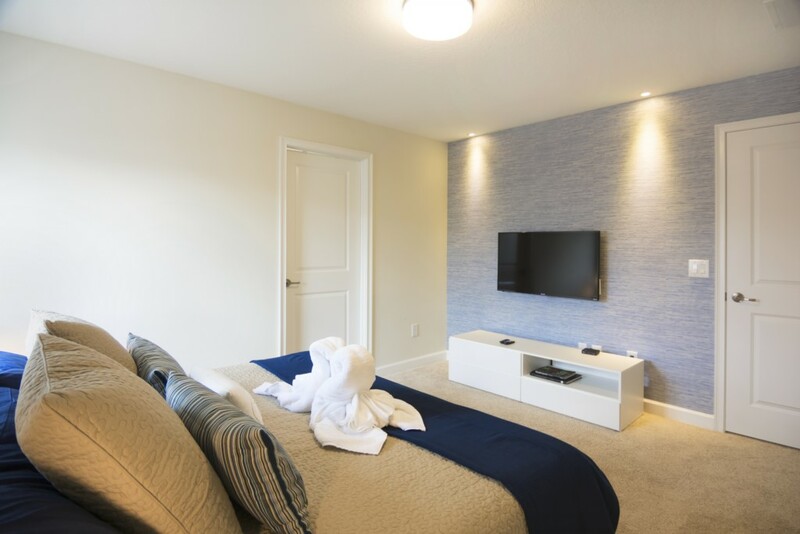 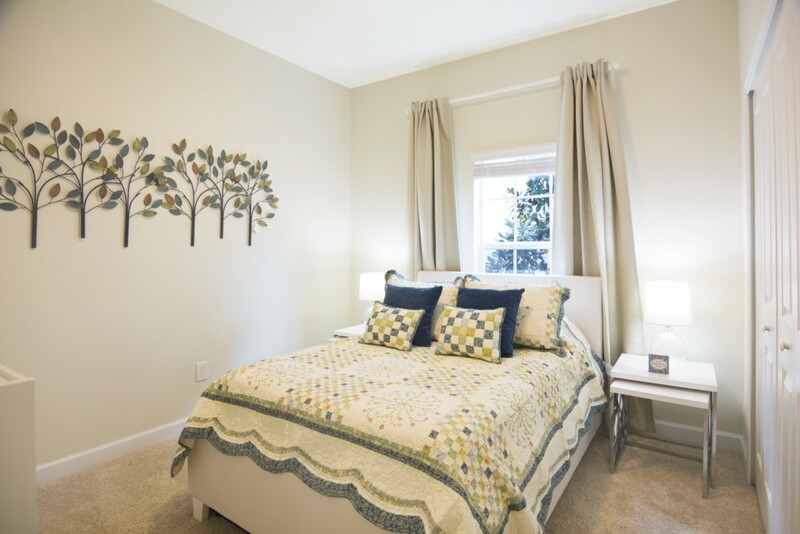 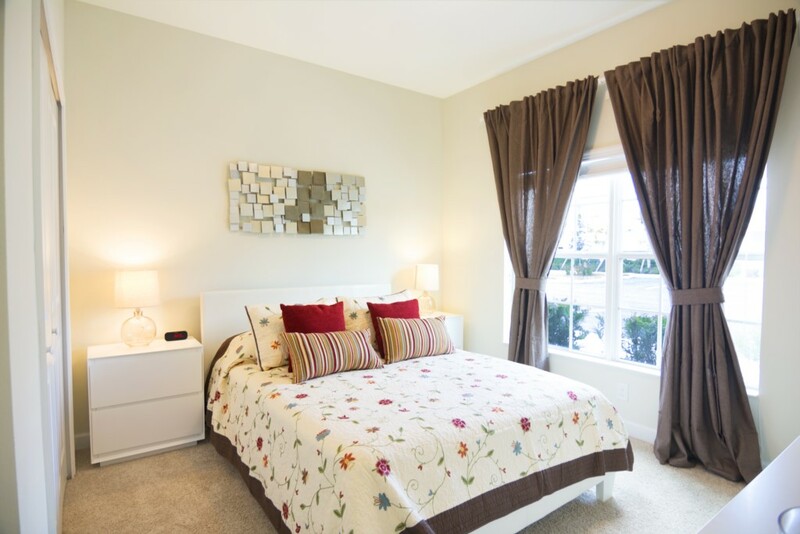 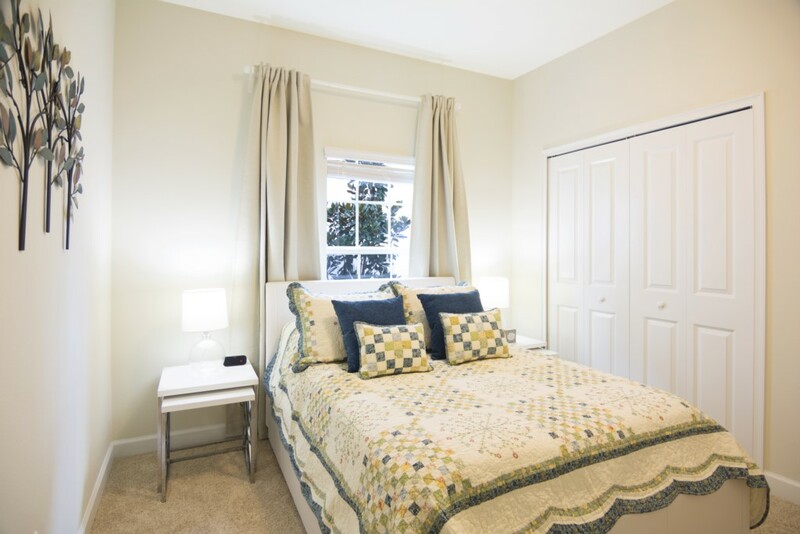 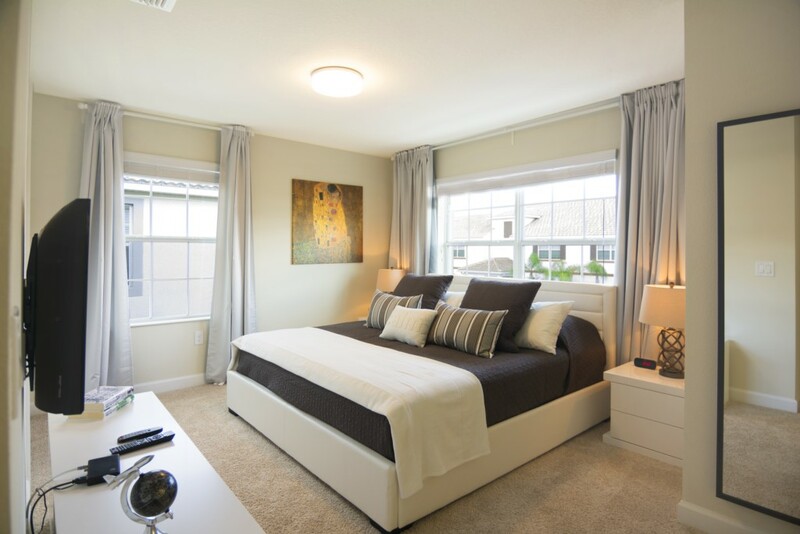 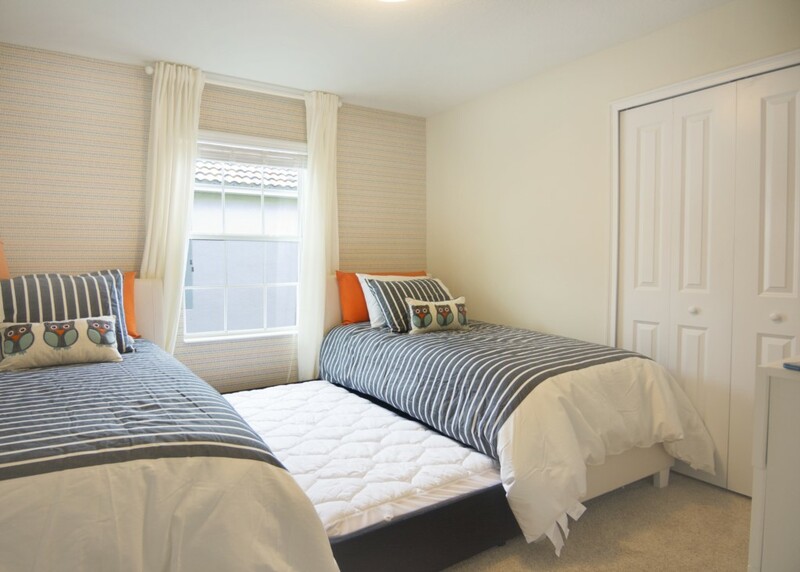 With 2 Master Suites with King Size bed and Flat screen TV in all bedrooms make this home perfect for two families. 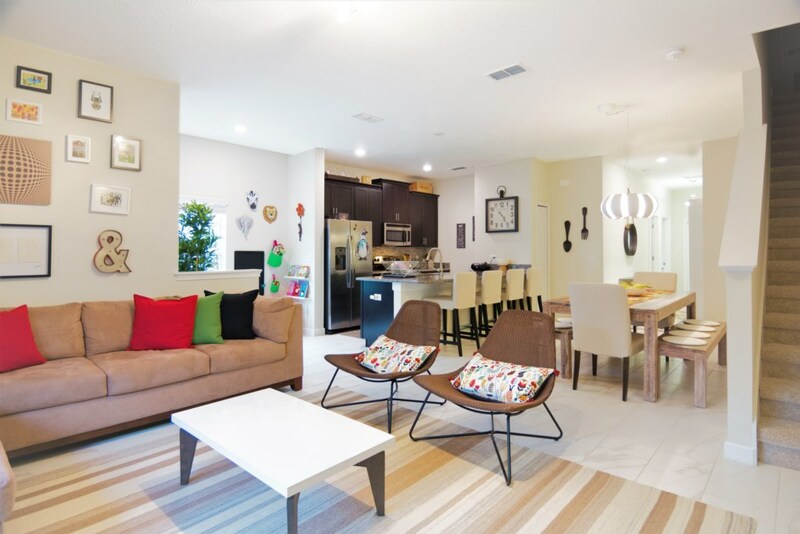 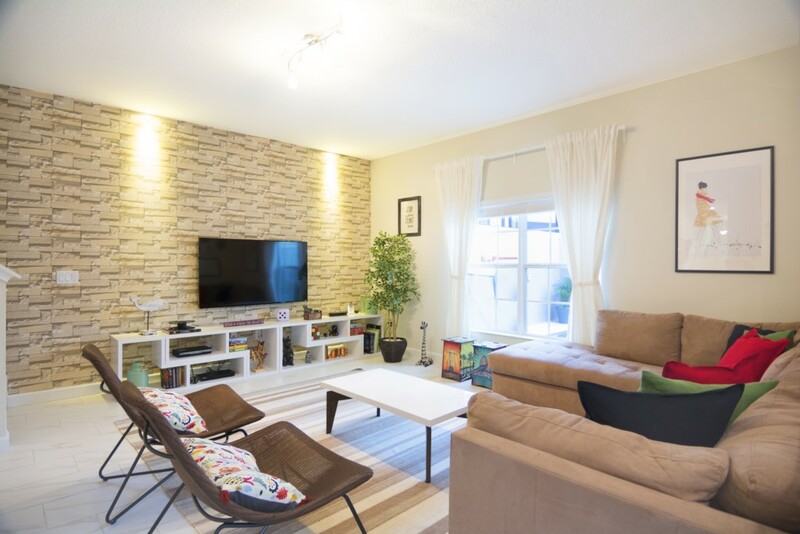 The spacious living room provides a fun family time, with a separate space for children and a flat screen with DVR. 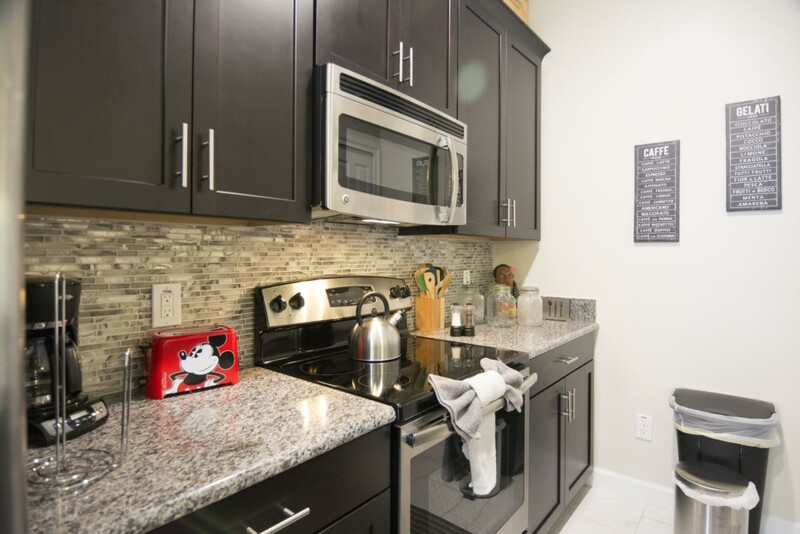 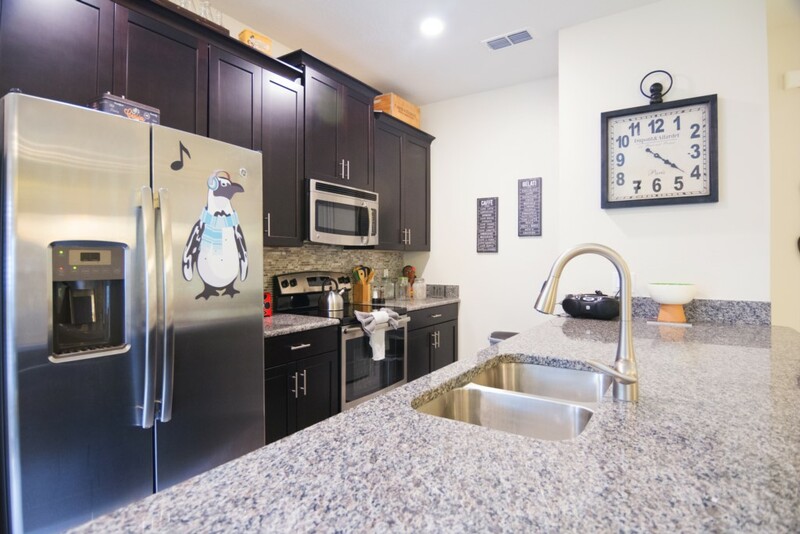 A fully equipped kitchen with stainless steel appliances, including range, microwave, dishwasher and granite counters / breakfast bar. 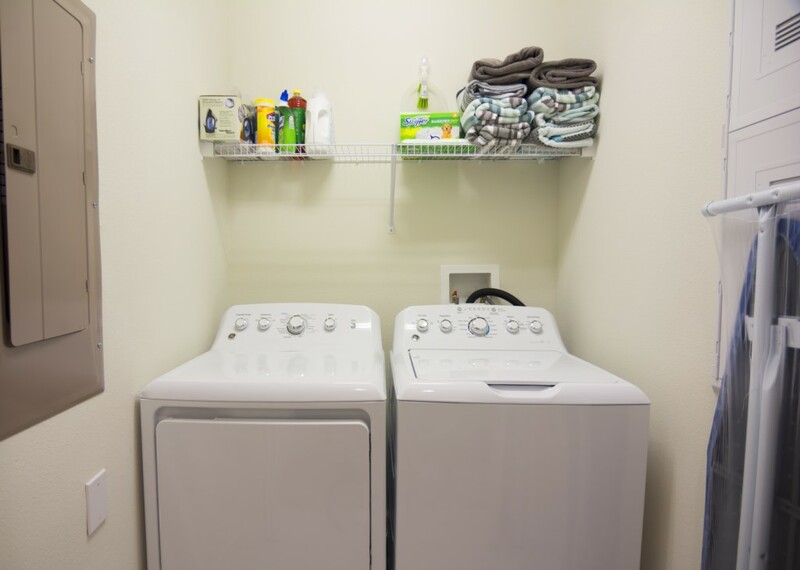 A Washer and Dryer for the laundry space with iron and ironing board. 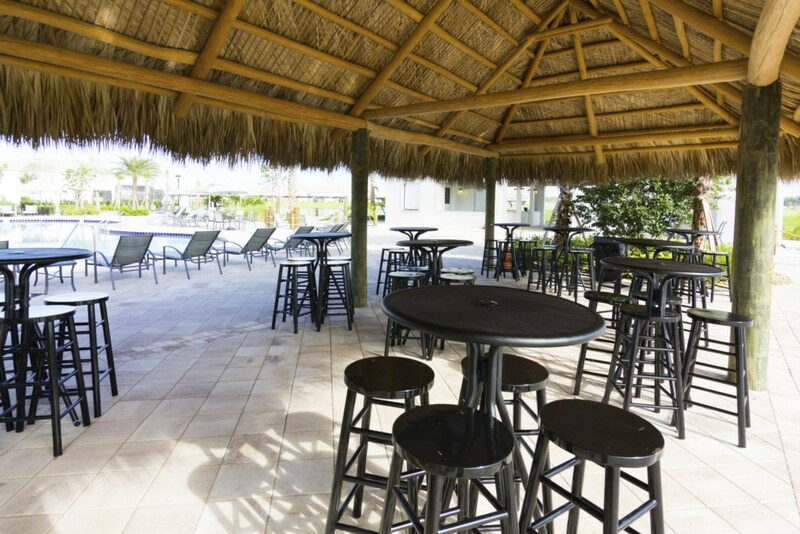 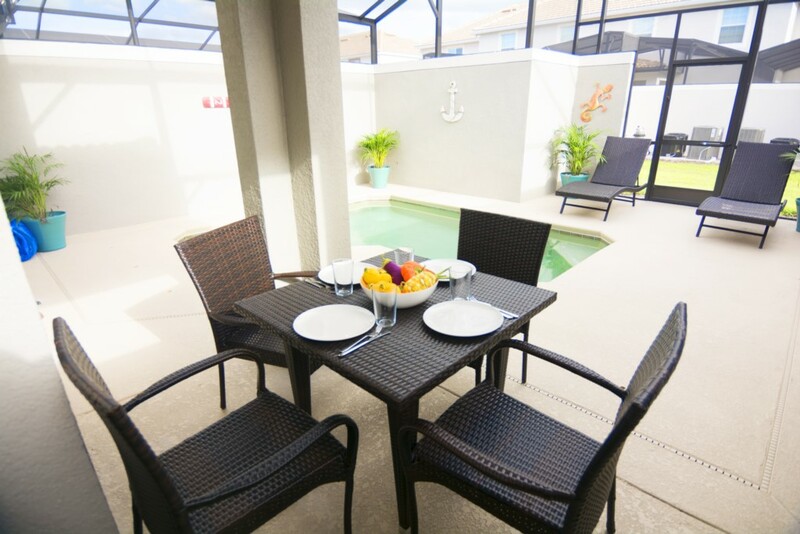 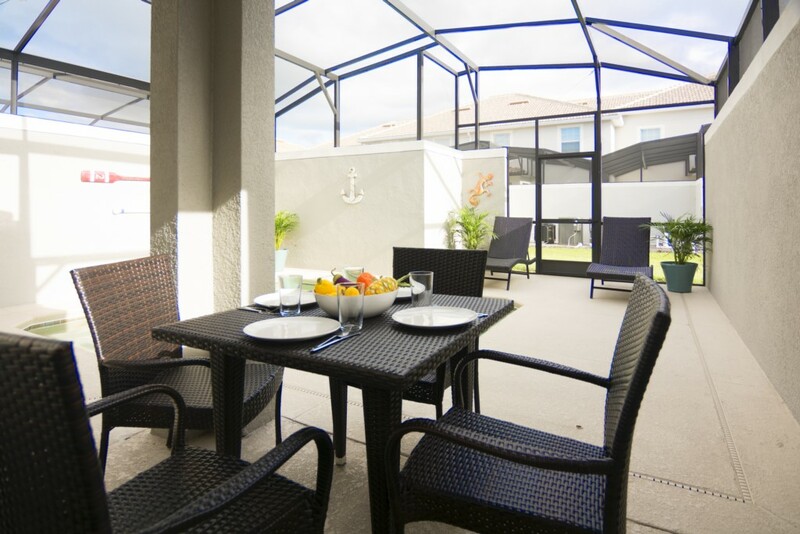 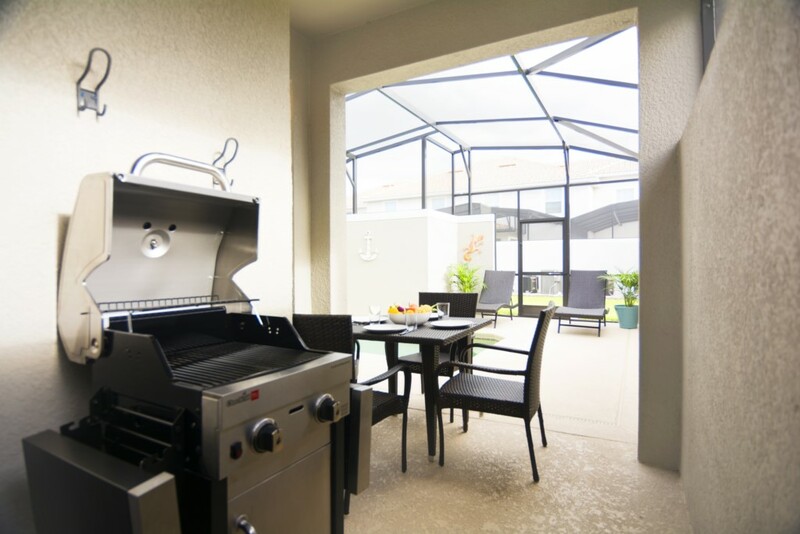 The pool area have a private screened plunge pool (can be heated) with covered lanai, table and chairs with a portable grill (use fee applies). 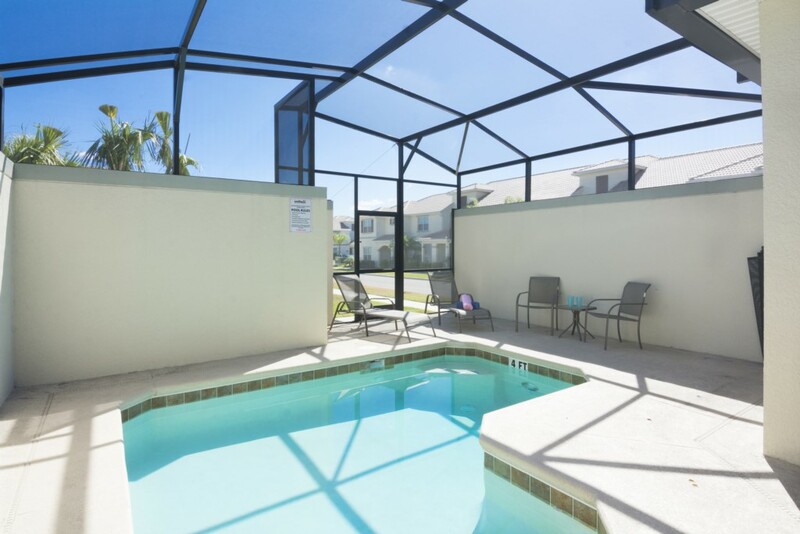 The free Internet Access Wi-Fi is available throught the entire property. 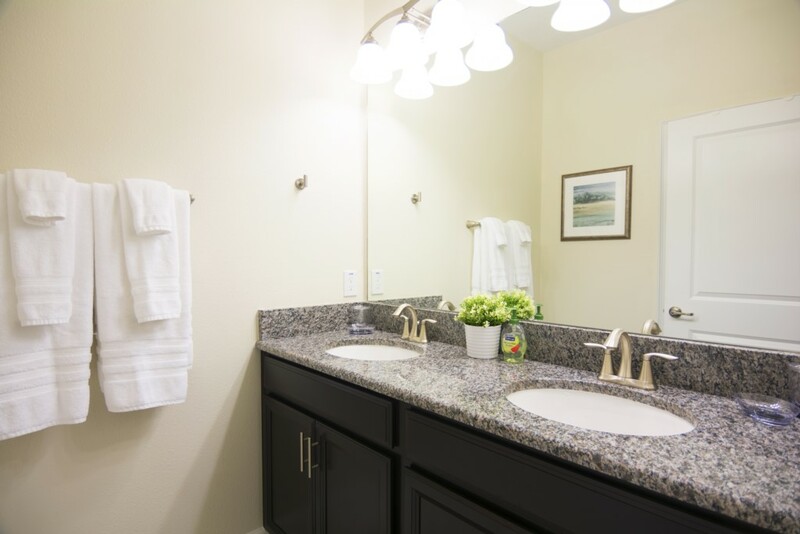 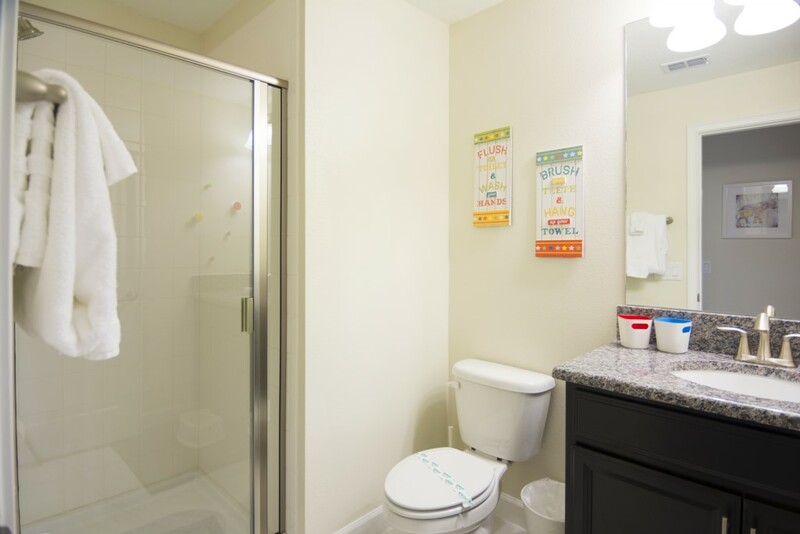 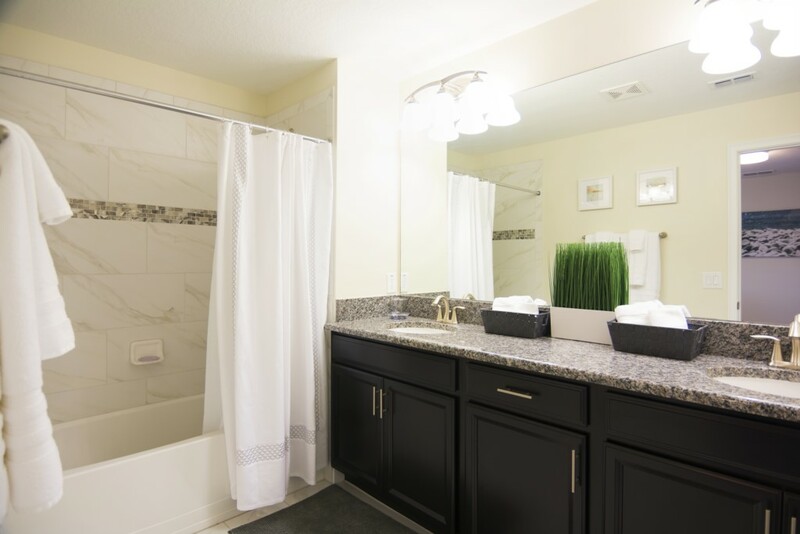 Linens, Towels, kitchen utensils are provided with no charge. 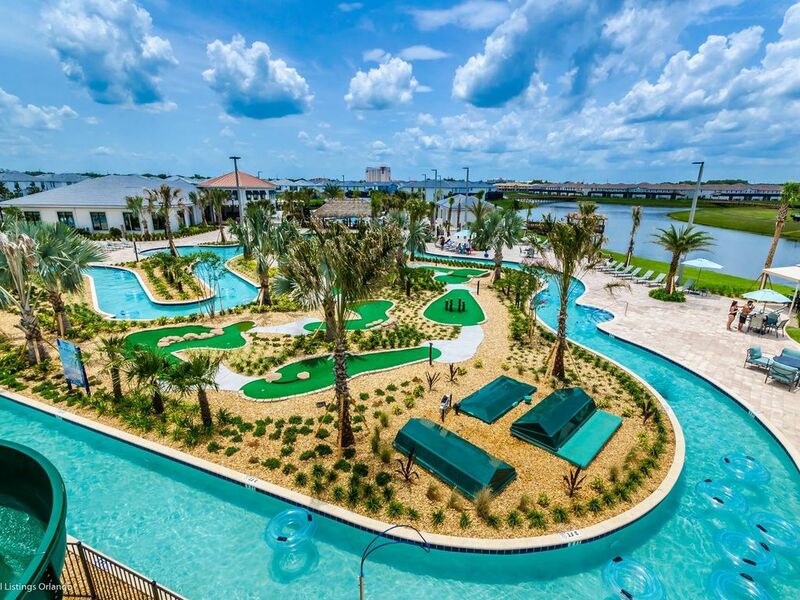 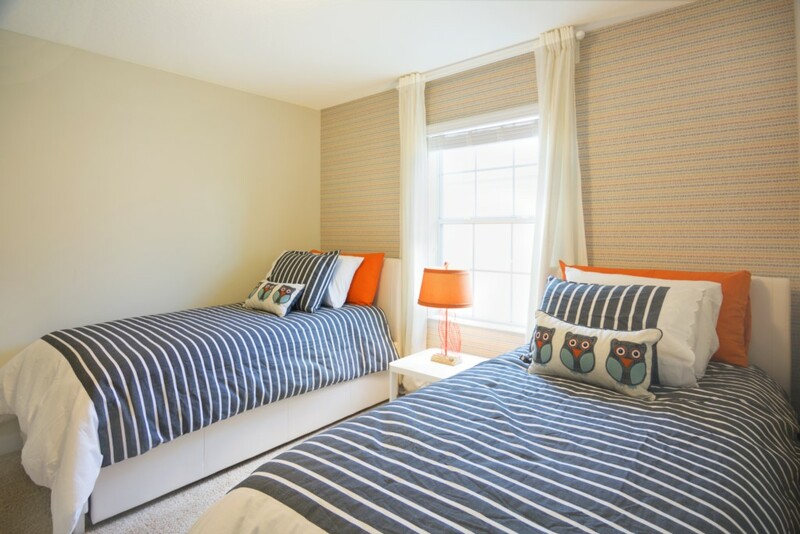 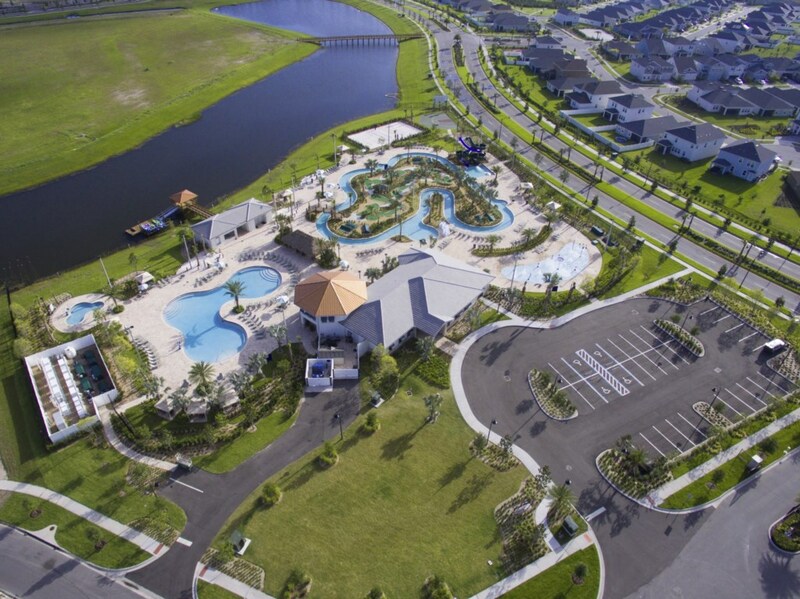 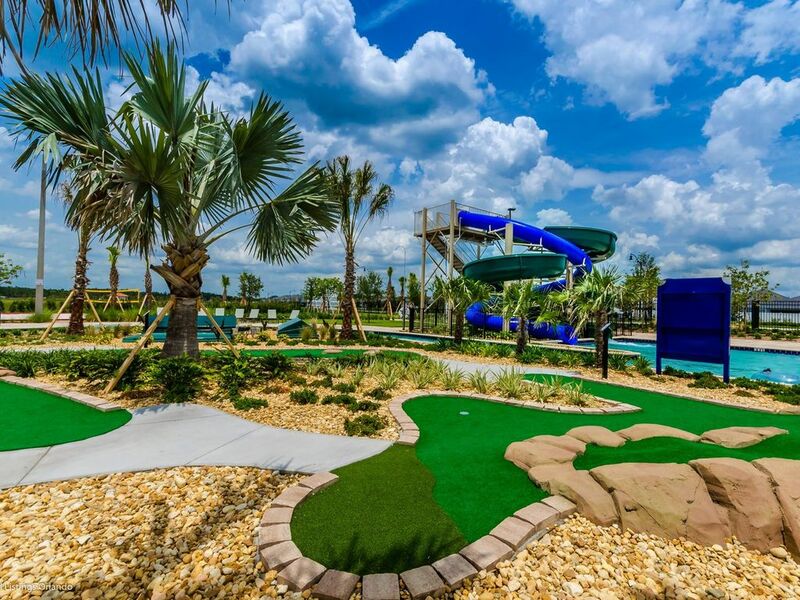 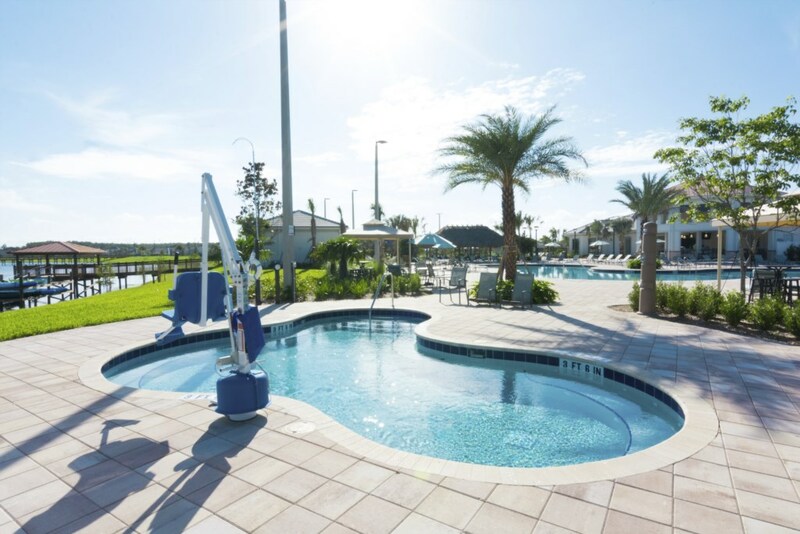 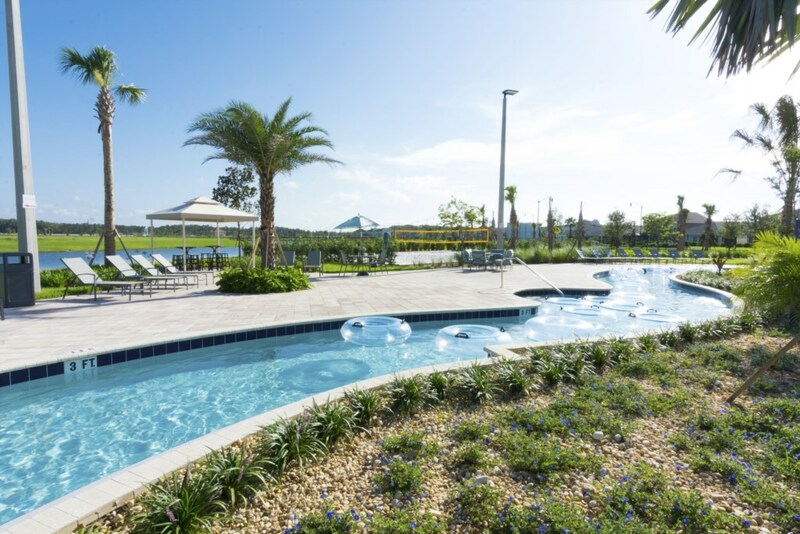 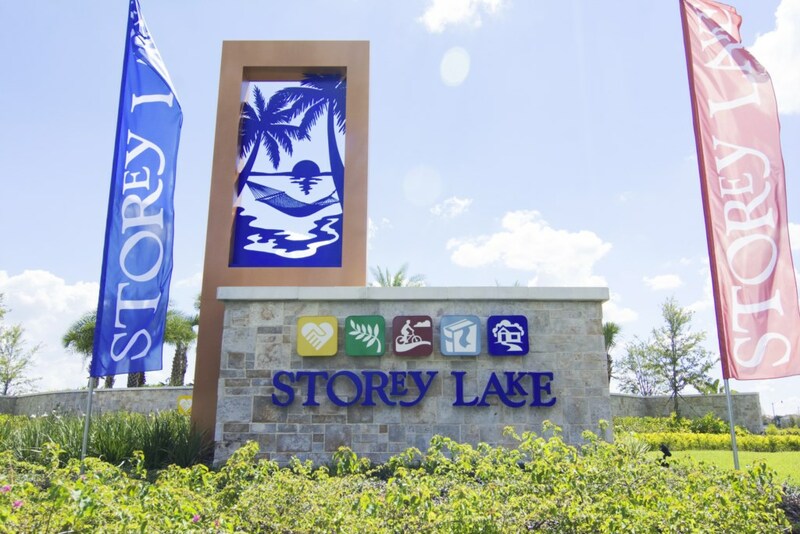 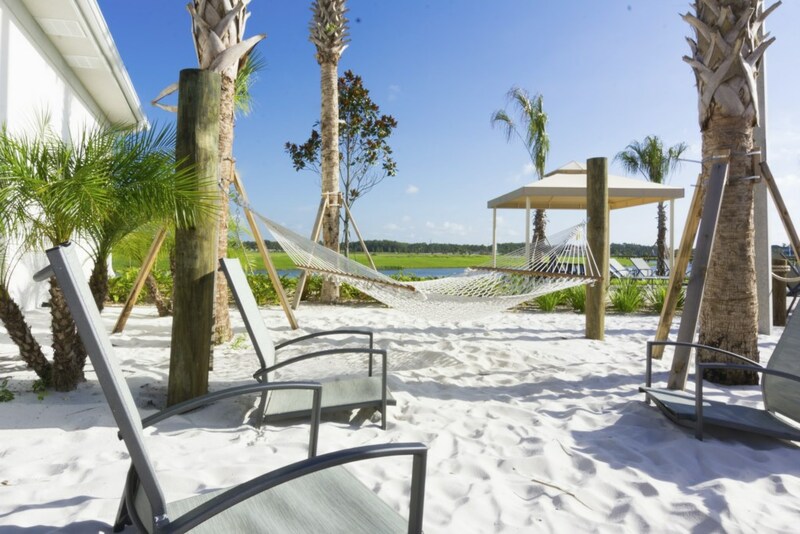 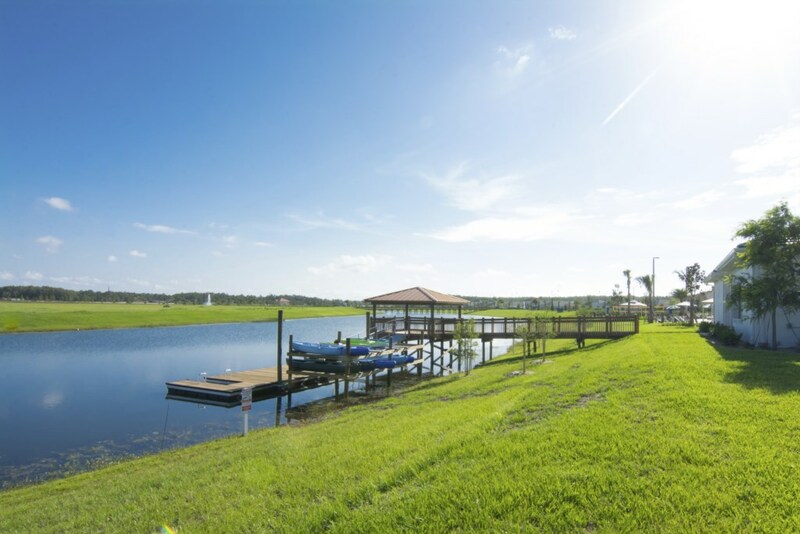 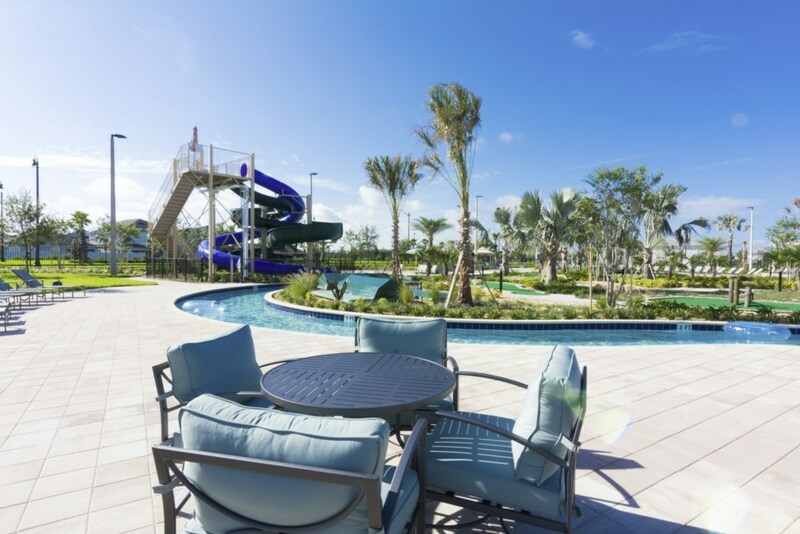 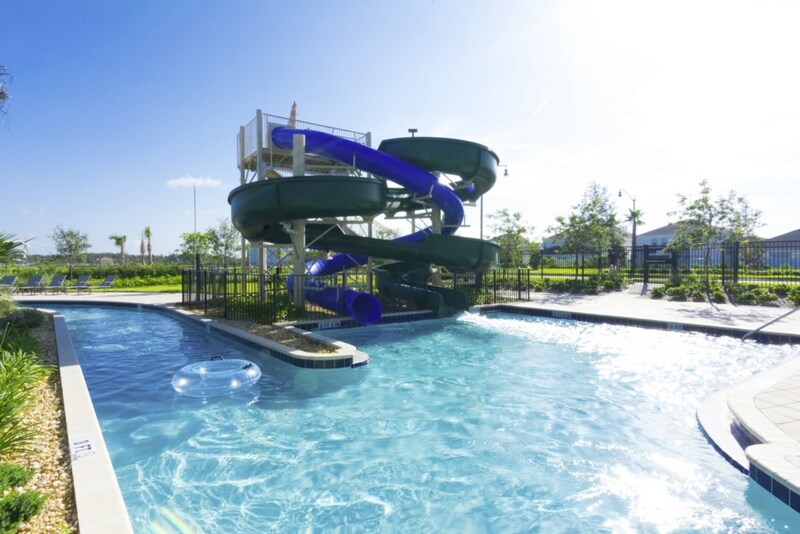 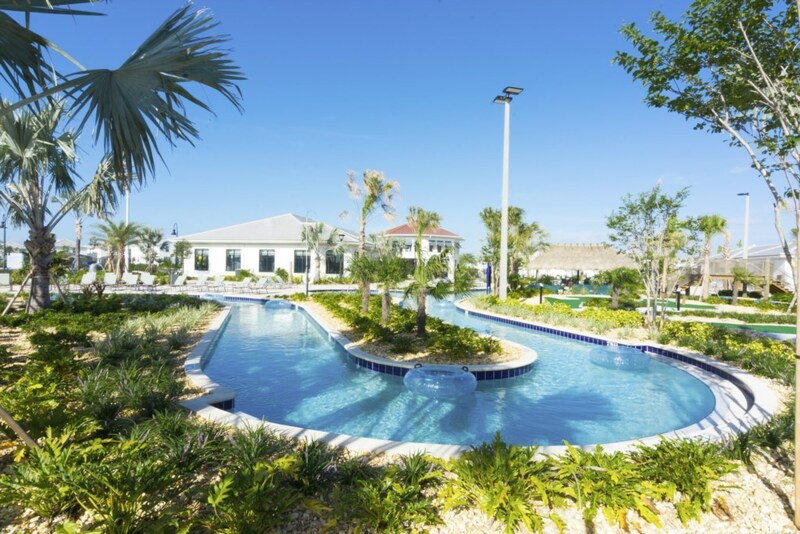 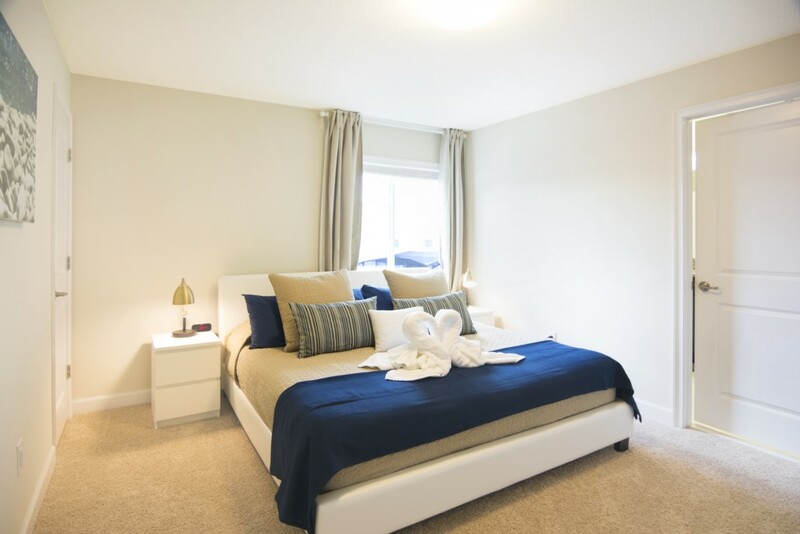 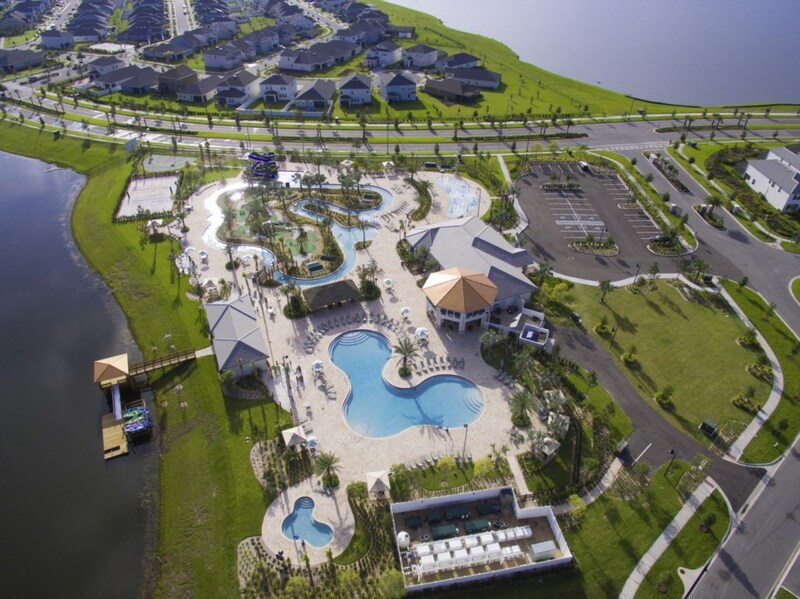 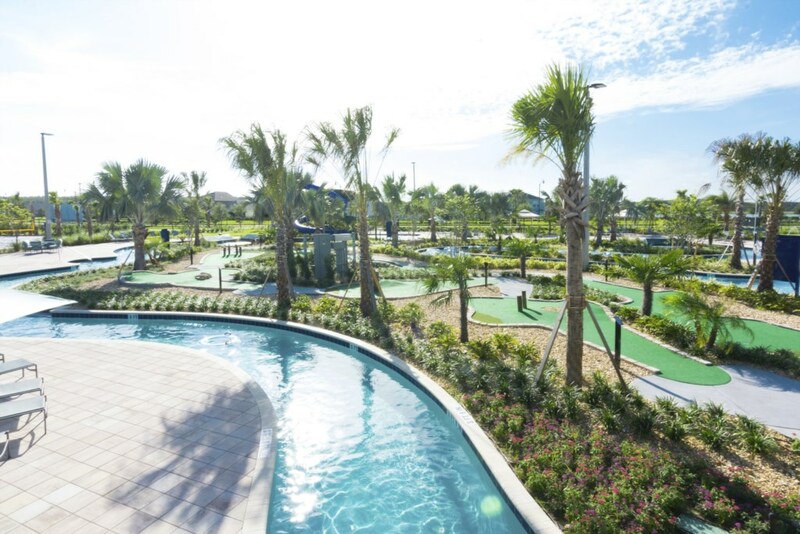 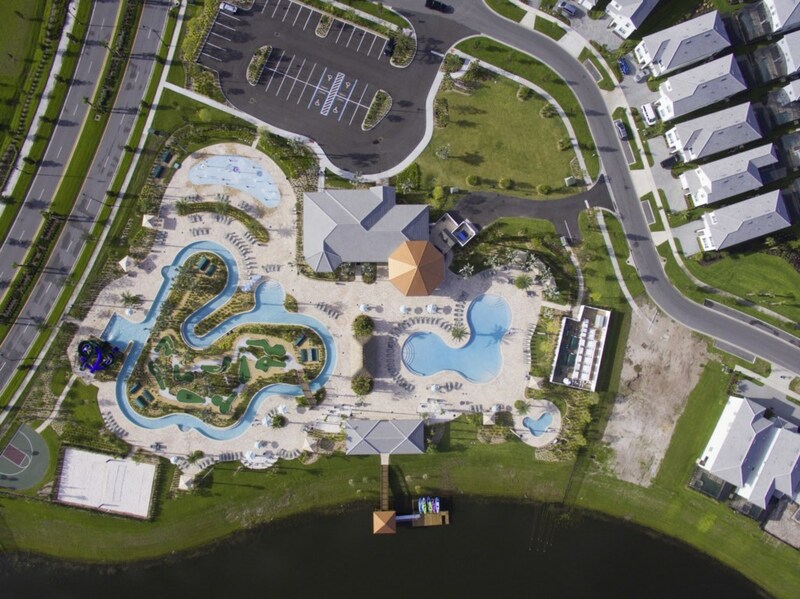 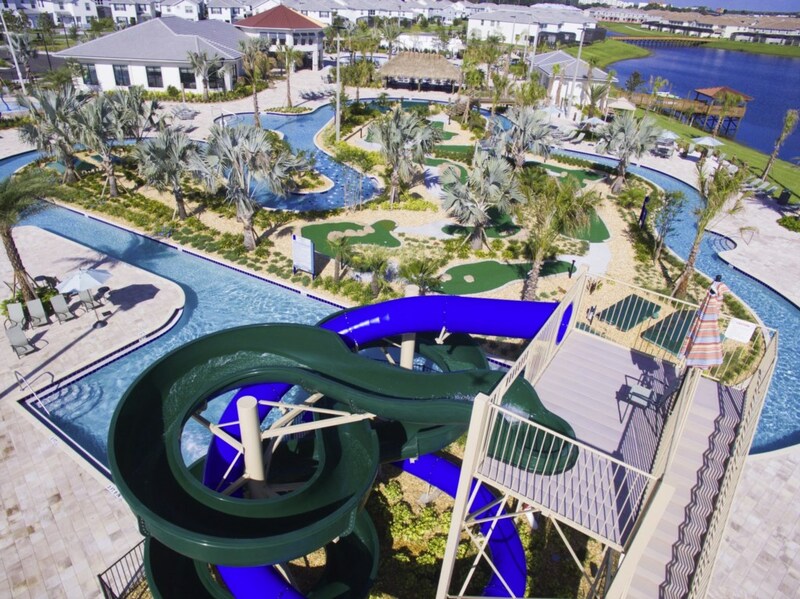 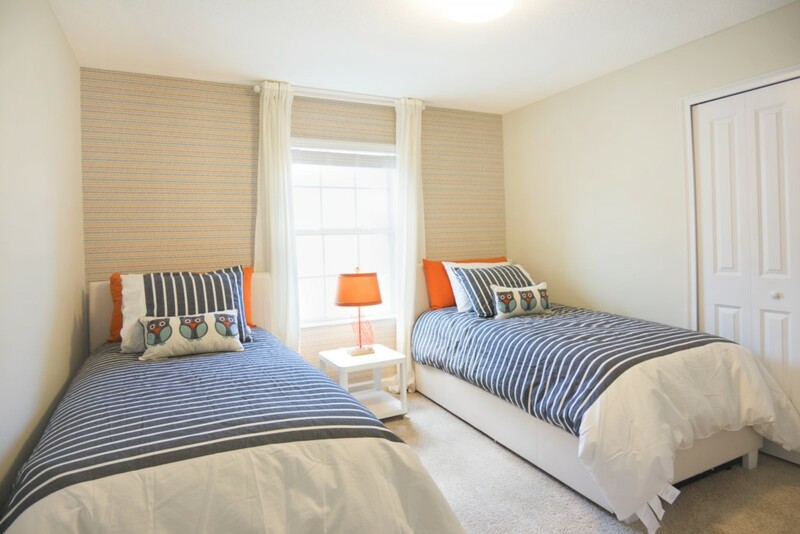 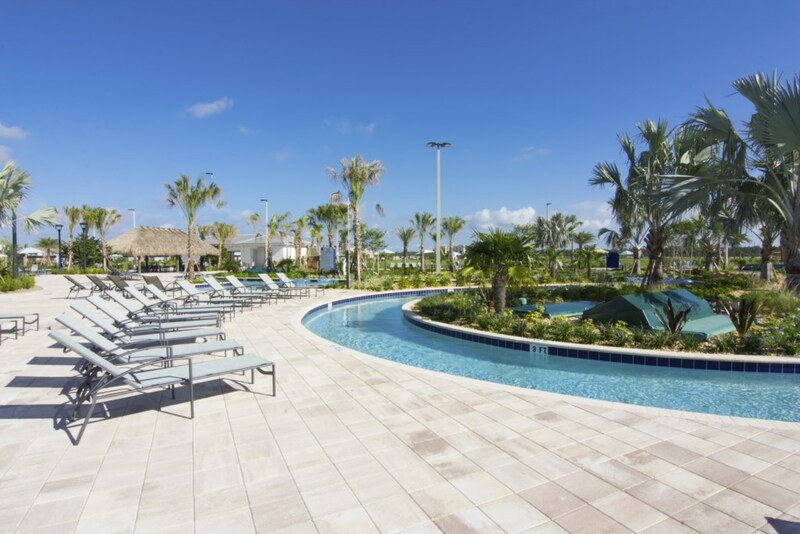 Storey Lake contruction features a resort lifestyle for today's family with amenities for active residents that include multiple sports courts and a children's playground. 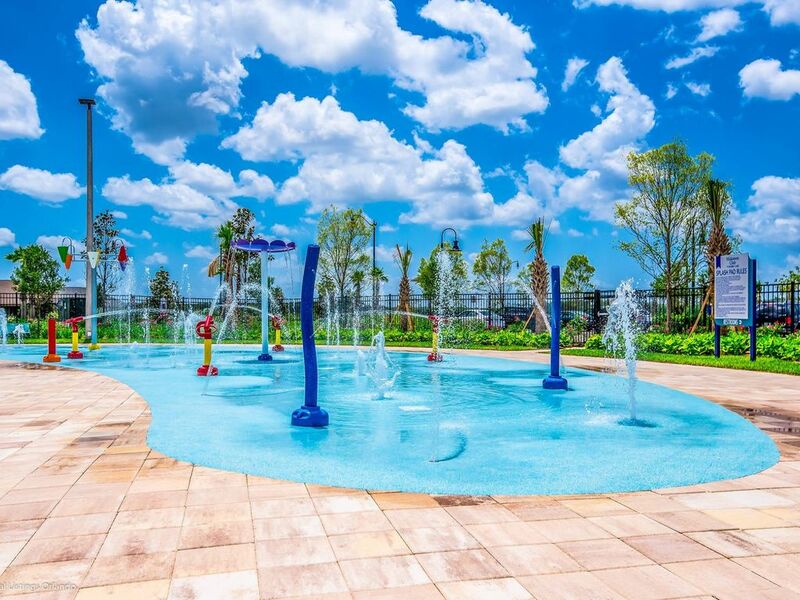 The resort-style swimming pool is slated to feature a splash park and playground for children to enjoy. 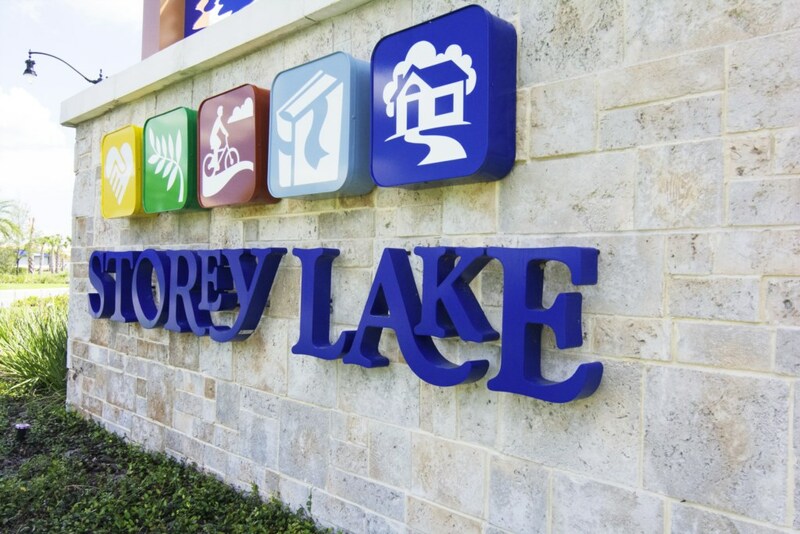 With lush surroundings, Storey Lake also features many nature trails and conservation areas. 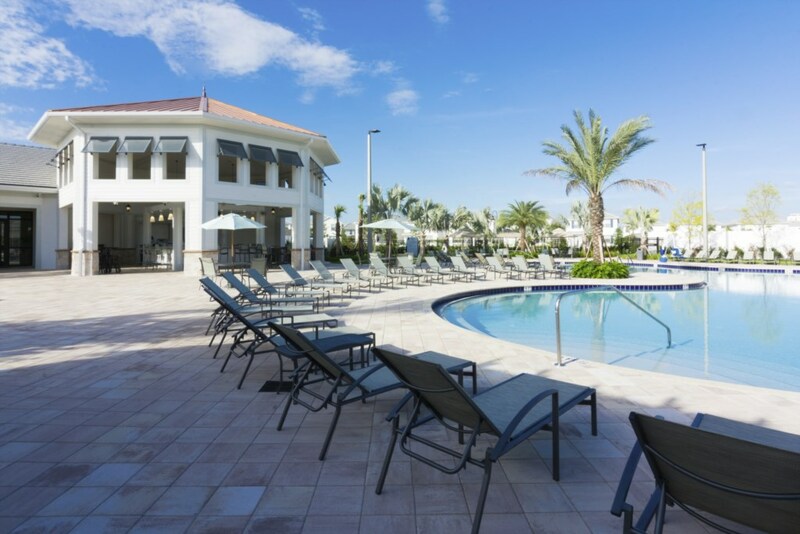 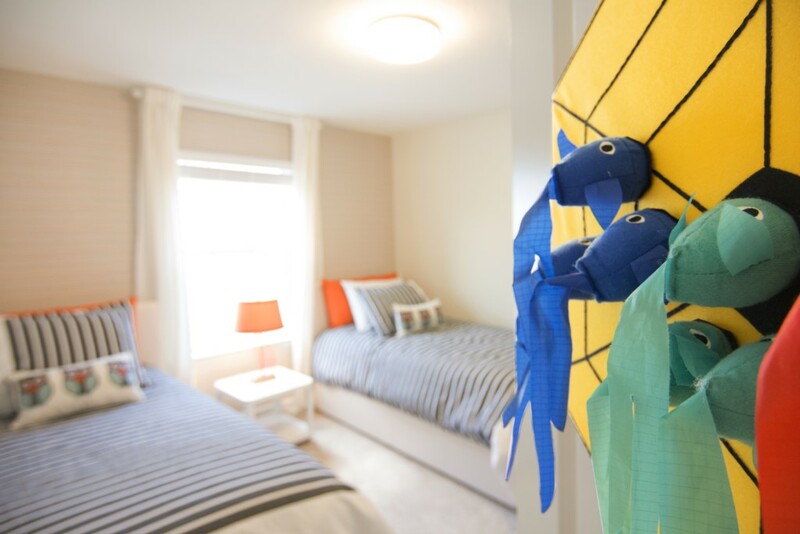 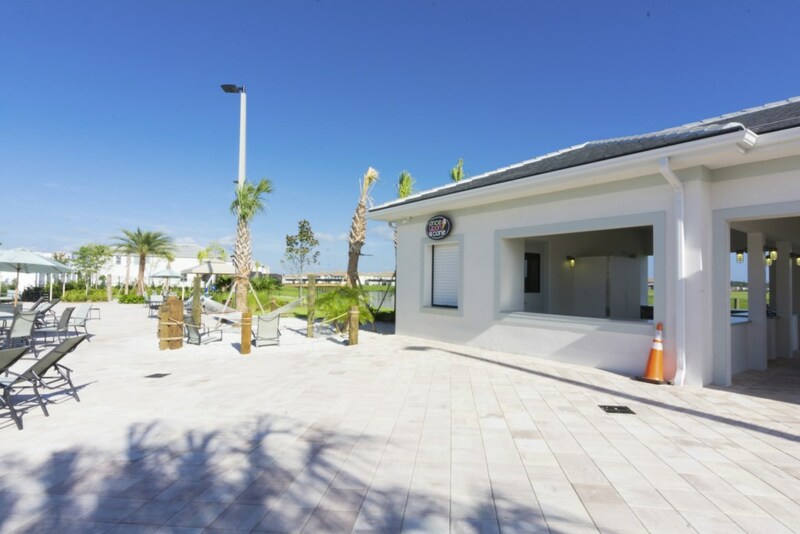 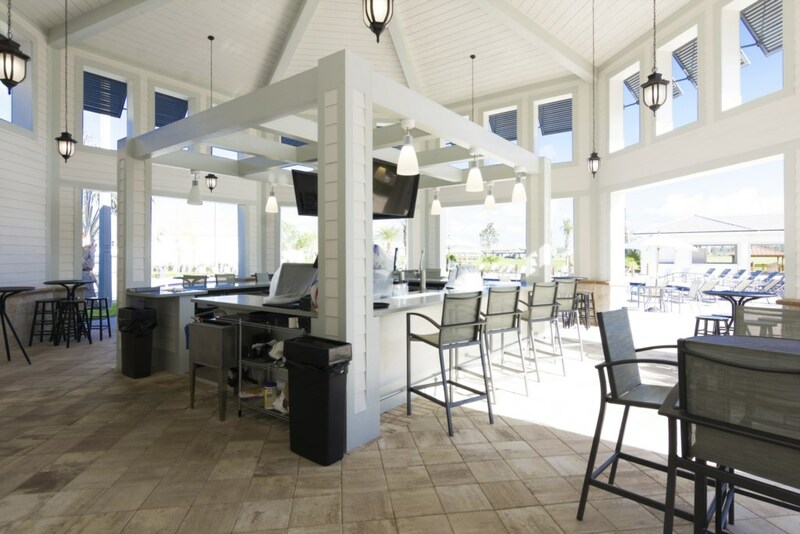 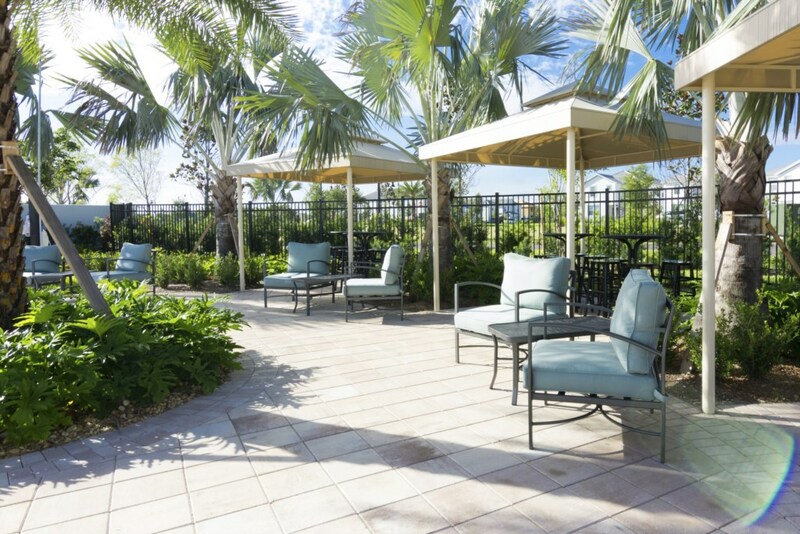 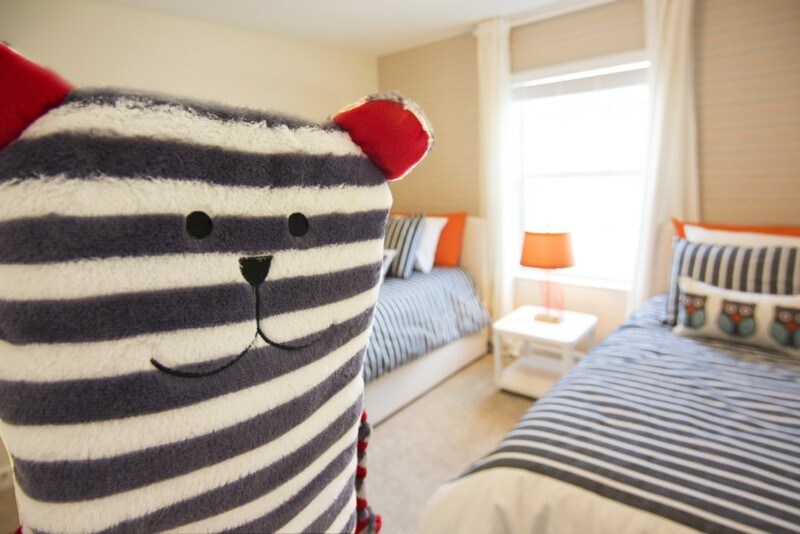 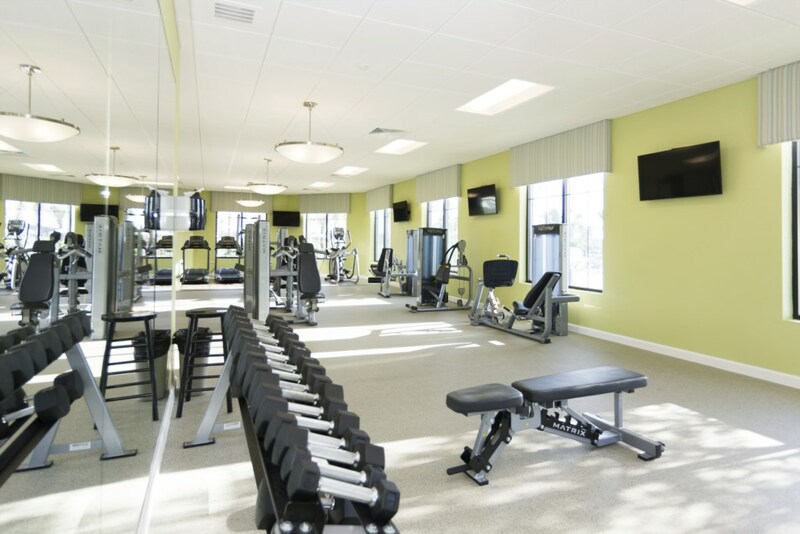 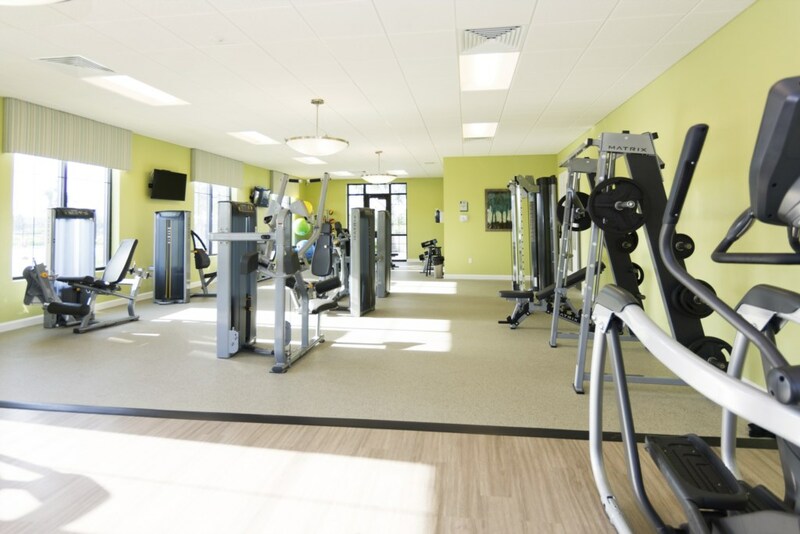 Clubhouse: State of the art clubhouse for residents to use. 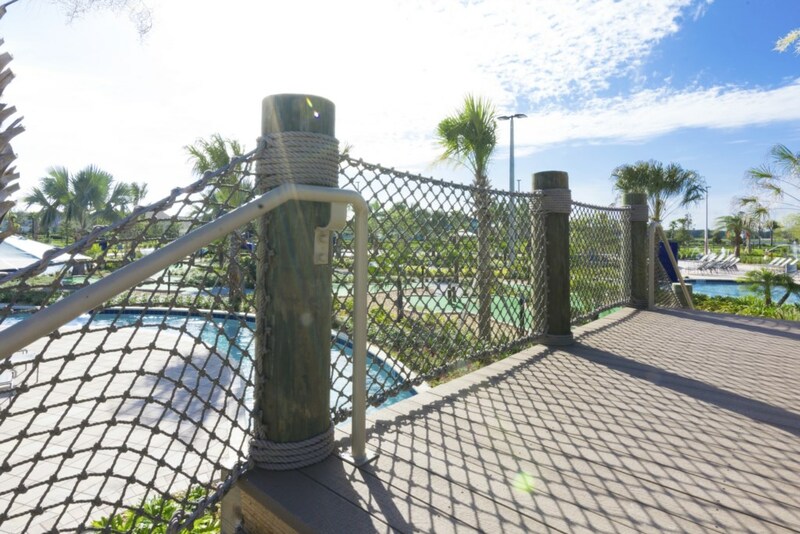 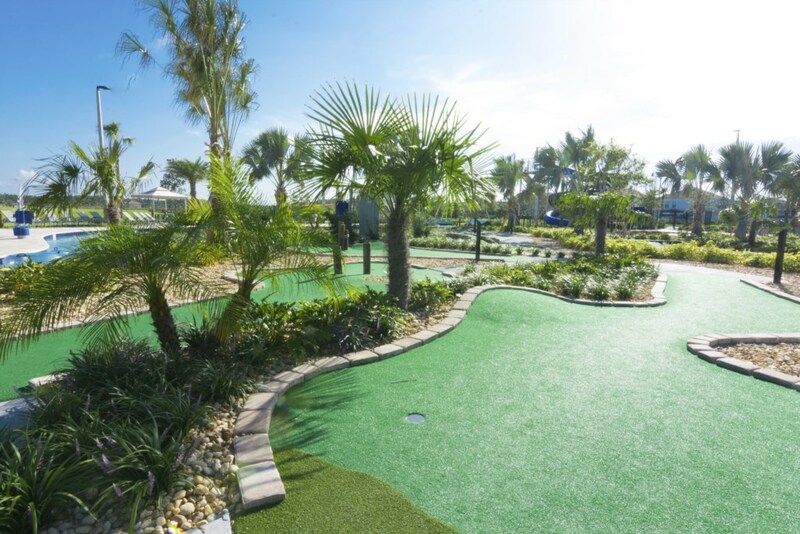 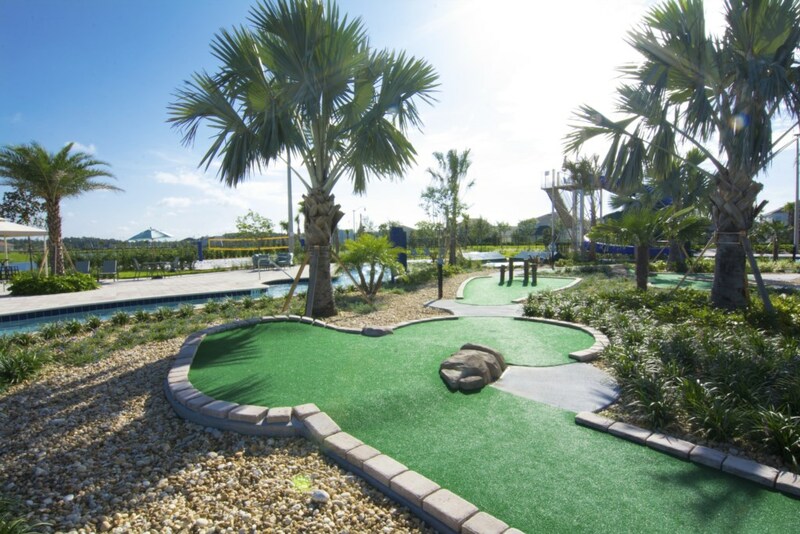 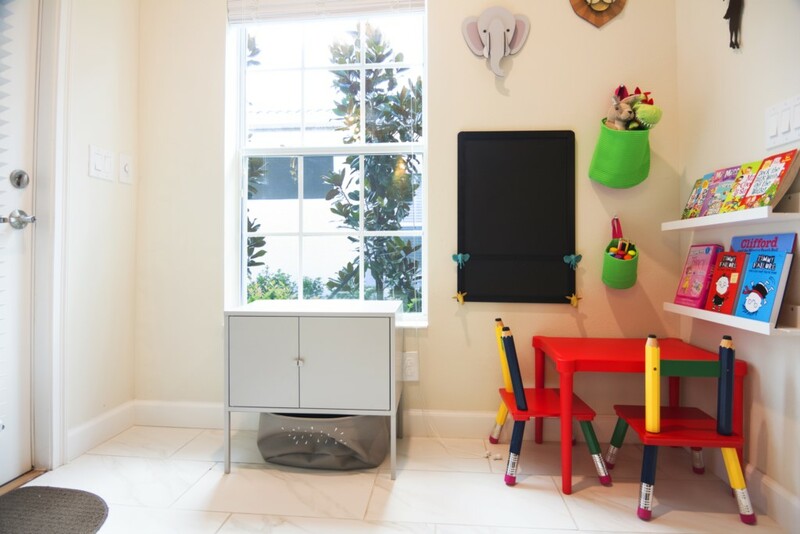 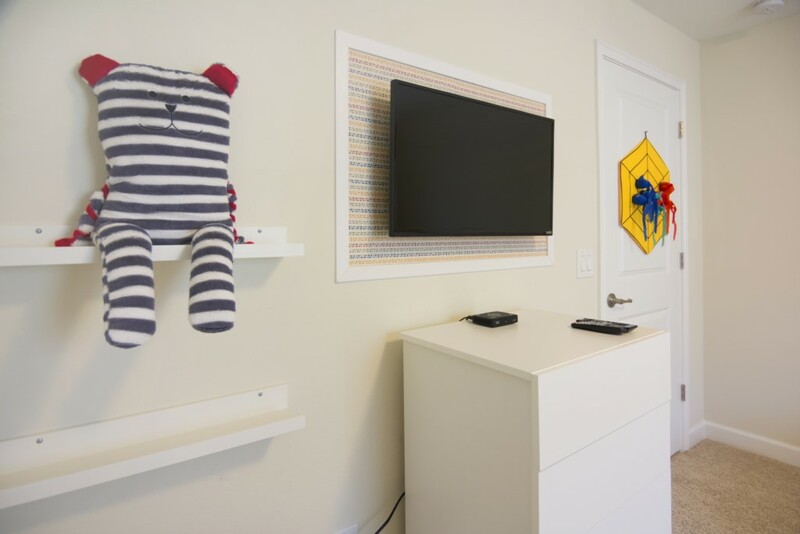 Playground: Children-friendly areas located throughout the community. 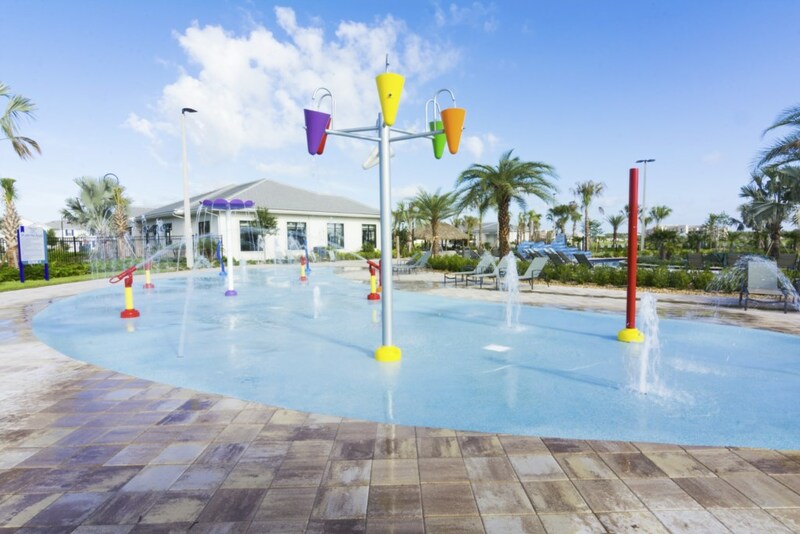 Splash Park: Children-friendly area next to the swimming pool. 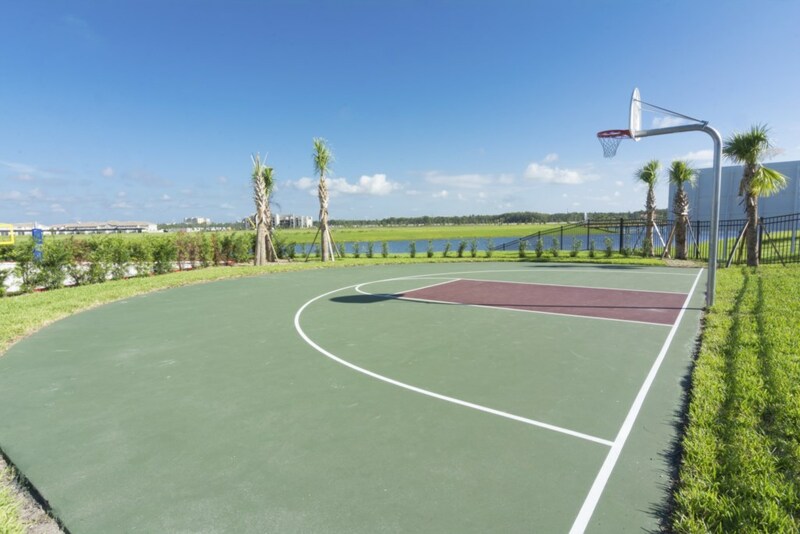 Sport Court: Multiple sports courts located within the community. 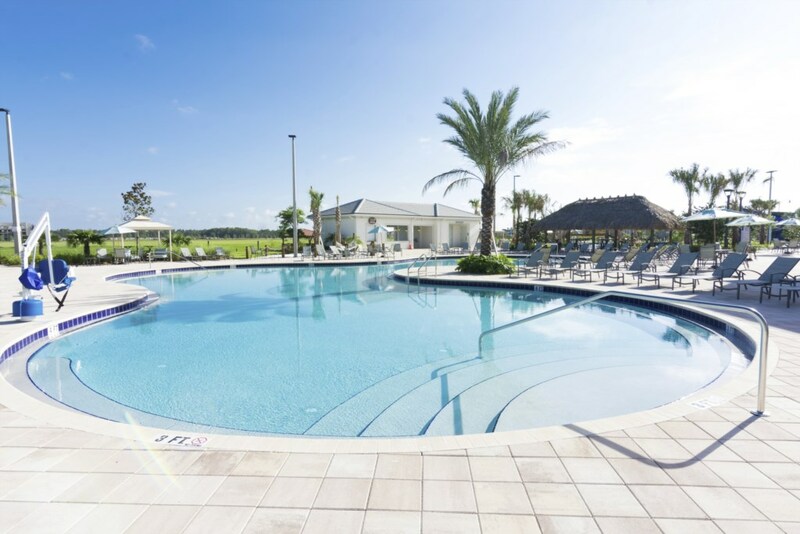 Swimming Pool: Resort-style swimming pool featured in the community amenities. 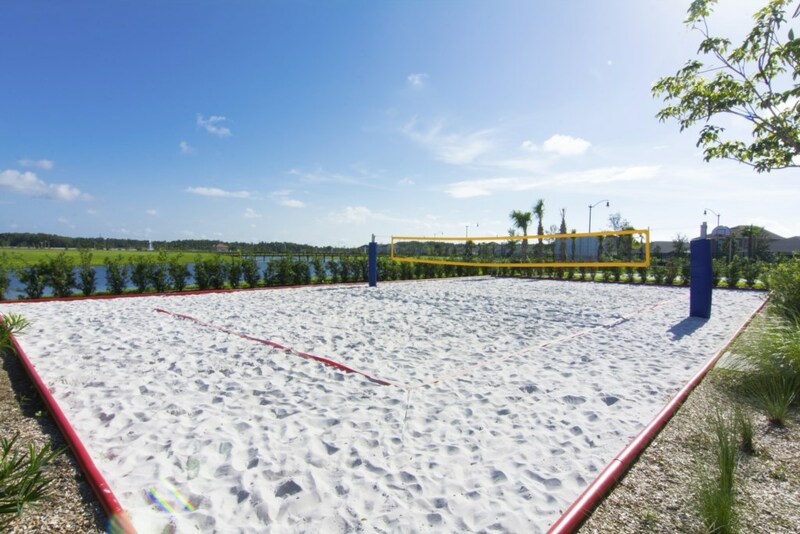 Volleyball Court: One of the many sports courts located throughout the community.